En-Net offers a complete line of audio/visual equipment designed to meet every need of your business. Our audio/visual offerings have evolved over time to include time-tested solutions and the latest in innovative products. Our customer relationships are at the center of our methodology. Through our relationships, we aim to provide our customers with the best audio-visual products at the most competitive value. Our sales staff are dedicated to consulting with each of our Federal, State and Local Governments, and Educational entities to arrive at the effective solutions they need, as well as providing the sustained customer service necessary to ensure that they meet your needs for years to come. To find out more about our hardware services, printing and imaging services, or to hear more about how a dynamic team can help meet your specific information technology needs, contact us today. We service public sector entities throughout the United States and its territories. 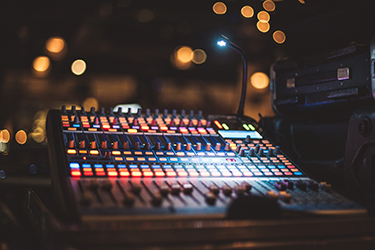 We are dedicated to offering effective audio/visual solutions to all of our customers, and have been able to work with numerous agencies thanks to the factors that make us different, known as the En-Net Way.